An illuminating face and body spray. Shimmer and shine. 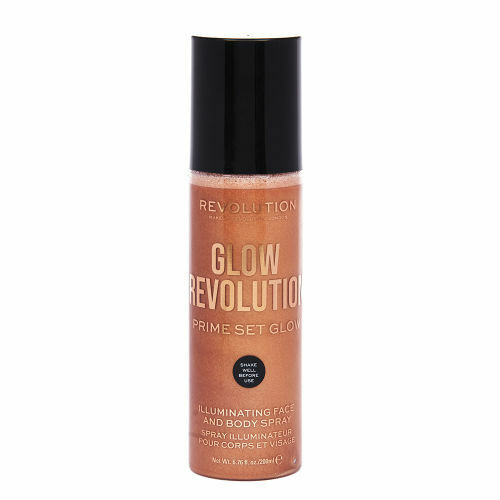 Prime, set and be radiant with Revolution Glow Revolution Timeless Bronze, a beautiful golden bronze liquid that apples as a fine mist in just a couple of spritzes. Containing reflective particles, this multi-purpose essential hydrates the skin while creating a glimmering dewy finish. Shimmer and shine. 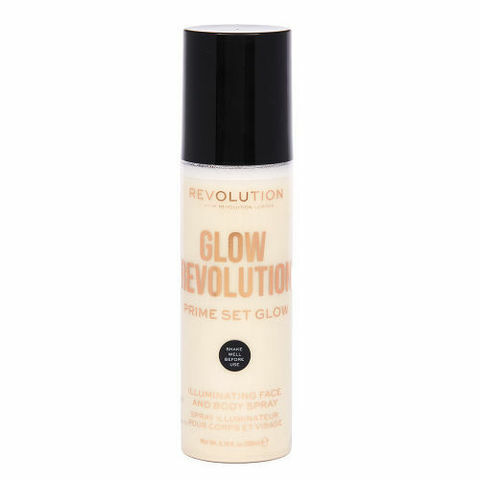 Prime, set and be radiant with Revolution Glow Revolution Eternal Gold, a pearlescent white gold liquid that applies as a fine mist in just a couple of spritzes. Containing reflective particles, this multi-purpose essential hydrates the skin while creating a glimmering dewy finish.